Every company claims to be the best at what they do, but we have proof to back it up. Below are some of our latest projects. Our technicians helped these customers with their problems, and we'll be more than happy to do the same for you. 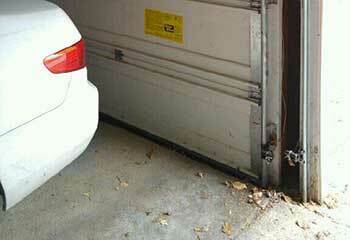 Customer Issue: The customer’s door kept closing again as soon as he tried to open it. 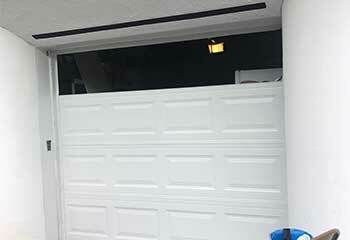 Our Solution: Our team checked the wall panel and the opener travel limit settings first. When they didn’t find anything, they checked the remote control and found that its internal wiring was damaged again. 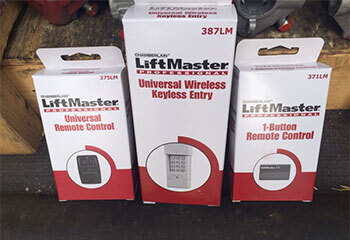 The presented the customer with a few options for a replacement remote, and he chose the 375UT 2-button universal remote that allowed him to also operate his driveway gate (which also had a LiftMaster opener). Our Solution: We were able to remove the panels that broke and installed new ones in their place that were of a matching material and design, thus preserving the door's appearance and curb appeal, as well as its functionality. Customer Issue: Sensors were misaligned. Our Solution: After performing a few tests and examining the opener and the tracks, we quickly determined the problem to be that the safety sensors had become misaligned. We carefully readjusted their position and made sure that the door was able to close again and that the reversal system was working properly. 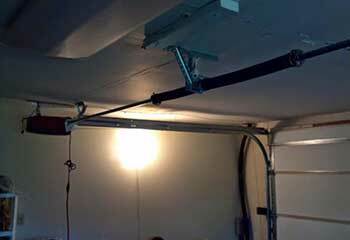 Our Solution: We carefully removed the remains of the old spring, installed a new one in its place and then adjusted its tension to make sure the door could move safely again.